While there is no sure way to prevent breast cancer, getting screened on a regular basis can help reduce the risk, which is why it is so important to make these screenings a priority. “We encourage women to talk with their healthcare provider about which screening tests are right for them based on their personal risk. Screening allows a woman to find breast cancer early, when there are more treatment options,” said Daneu. An estimated 24 people are diagnosed with breast cancer every week in Nebraska; four people lose their life to breast cancer every week. Susan G. Komen Great Plains provides grants for health clinics across the state to ensure that people have access to screenings, including at Charles Drew Health Center, OneWorId Community Health Centers, Perkins County Health Services Foundation and West Central District Health Department. 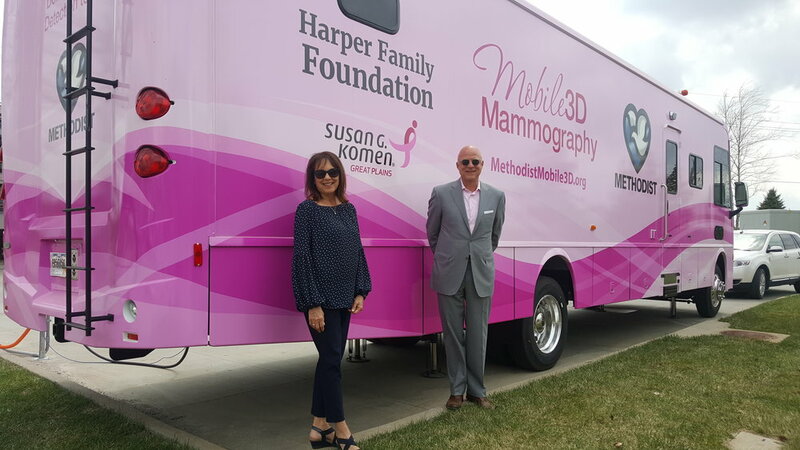 In addition, thanks to the efforts of Susan G. Komen Great Plains, the Harper Family Foundation and many generous donors, there’s a new option for screenings for women in Omaha through Methodist Hospital: a 3D mobile mammography unit. Methodist will work with Charles Drew Health Center and One World Community Health to provide screenings to uninsured and underinsured women.